As the ground crumbles below my feet, I feel the thrill of possibilities. 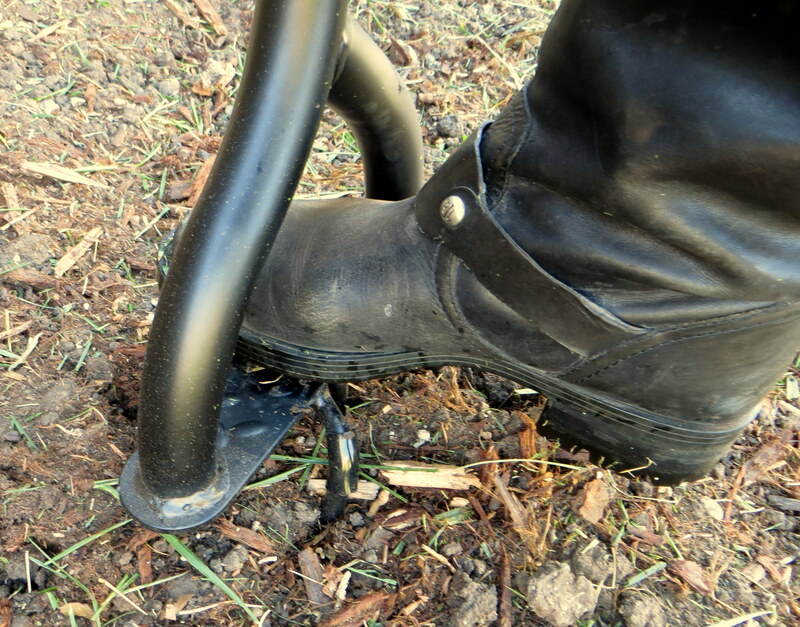 Stepping off the tiller, I admire the effectiveness of this simple gardening tool. 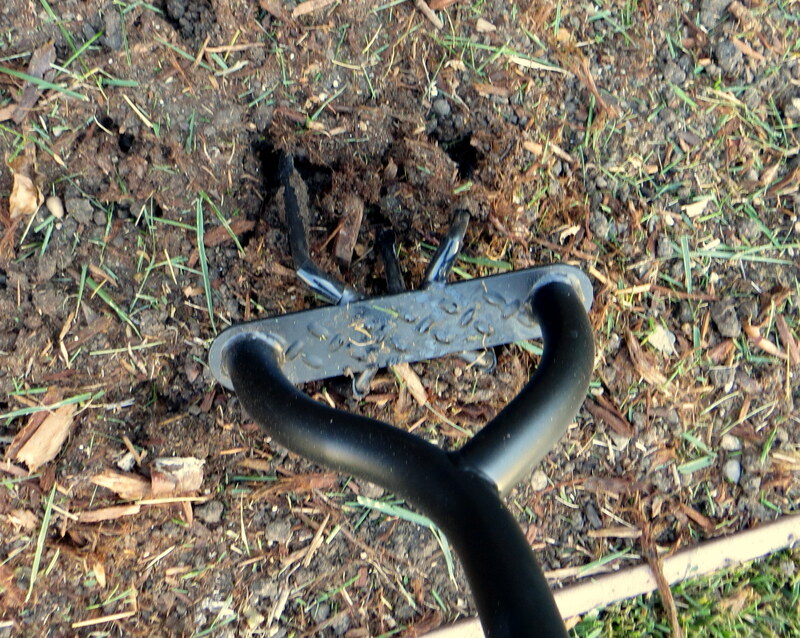 Then, giddily, I plunge the tiller right back into the soil and repeat. As an urbanite with zero gardening experience, the possibility of coaxing this hard dry soil into producing crop is very exciting. When I first saw this house in Santa Rosa, the abundance of outdoor space was overwhelming. I was living in a 824 square foot apartment in San Francisco with no outdoor area. All the herbs that I enthusiastically (and illegally) planted on the fire-escape struggled to survive. The only real growth that happened out there was that of a pigeon family that made a nest in one of the flowerpots. This house is my chance to redeem myself, to prove that I can nurture a plant. I am preparing the grounds to create an herbal garden, starting with cilantro and sage and maybe some other herbs. Before I could start tilling, I had to pull out all the weeds in the ground. 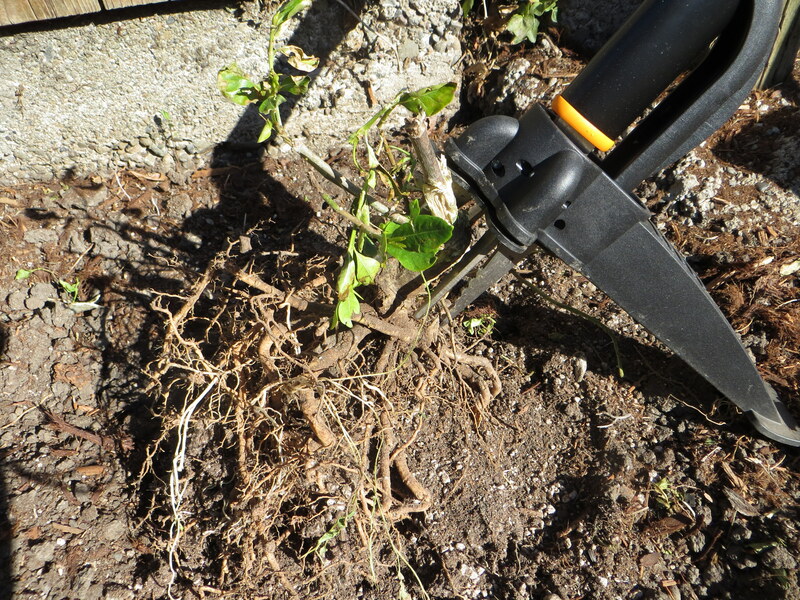 I bought an impressive tool which grabs onto the roots and removes them in one easy sweep. I get goosebumps looking at all the fancy gardening tools online and in the store and learning how they can be useful in my project. So, instead of worrying about the extra expenditure, I was happy to purchase a shovel to help clear the ground for weeding the plants with tougher roots. In addition to learning about gardening tools, I am learning about materials that increase soil’s organic properties. My mom and I have something new to talk about on the phone and we are connecting on a passion that we did not know we shared. And, I am excavating writing material from this new project. The work gives me an unexpected sense of fulfillment. The crop of cilantro and sage will wake up my senses with their fragrance and nourish my body with a rich cocktail of nutrients. For now, the route there is nourishing my spirit. Bella and Preston. 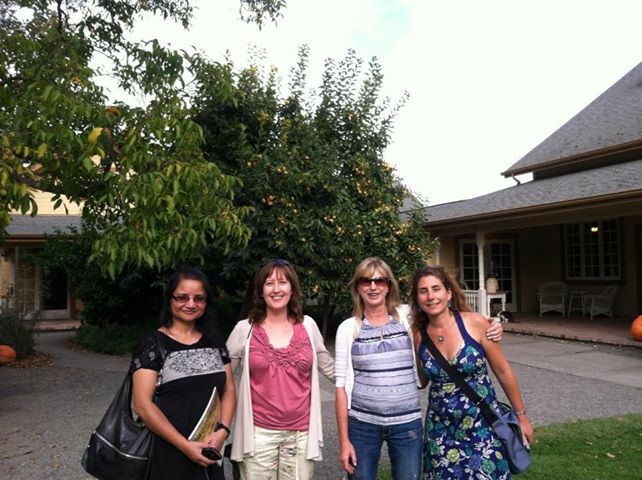 That is “Bella Vineyards and Wine Caves” and “Preston Vineyards and Winery” in Healdsburg. They each offer an entire tasting for only $10 and Bella includes a small batch of truffle fries. I am here with friends visiting from San Francisco. 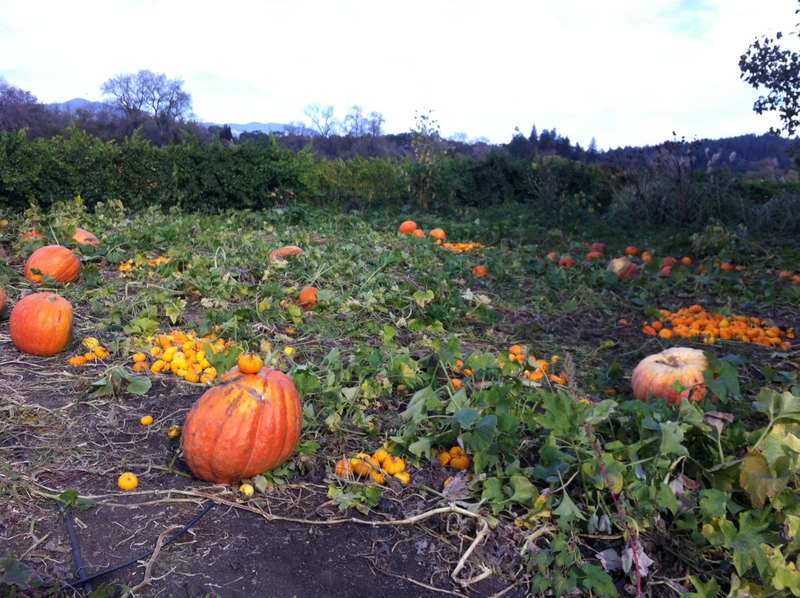 After the tastings at Preston Winery, we amble around in the farmlands near the vineyards and are treated to dramatic views of pumpkin patches, dozens of hens running around in a coop, a cornucopia of plant and flower life, and even an old-fashioned pizza oven. Later, we splash around at the Healdsburg Beach. It is a joyful day and a reminder of the special relationships I have developed in my 15+ years of living in San Francisco. We talk about everything from Pinot Noir to places in Switzerland we have all visited to the properties of organic food to breast cancer to women’s rights to the current government shutdown. The conversation flows with or without the wine. It’s often this way amongst the four of us but the surroundings, the long trek that my friends have made from San Francisco, and the variations in scenery make this a a particularly memorable day. As I discover and create a new life in Santa Rosa, I am thankful for the years spent in San Francisco, developing relationships, that I hope will last no matter where in the world I go.